Wolf Commercial Real Estate (WCRE) is pleased to announce the expansion and relocation of its Center City Philadelphia office, which includes the addition of three new team members serving southeastern Pennsylvania and Southern New Jersey. WCRE quickly outgrew its original Philadelphia office at 1601 Market Street, and has moved to 3 Logan Square, at 1717 Arch Street. The new team members are Kevin Coleman, who joins as chief sales officer and executive vice president, and new sales associates Tyler Martin and Mike Scanzano. They join a team that includes several well-known business leaders with deep roots in the city. 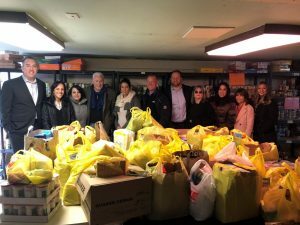 Among them are Brian Propp, director of strategic relationships, Tony Banks, vice president, Anthony Mannino, senior consultant, and sales associates Mitchell Russell and Joseph Nassib. Each brings a unique skill set, along with energy, passion, and the signature WCRE commitment to the community. Managing principal Jason Wolf and vice president and principal Chris Henderson, also assist the Philadelphia team. Kevin Coleman is a 15-year industry veteran. 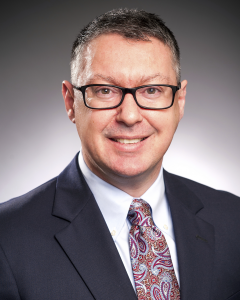 His role will include sales management and leadership, and business development throughout the region, with a heavy focus on central New Jersey. Coleman will also play an active part in the recruitment of all new team members. 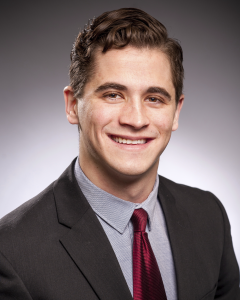 Tyler Martin is one of the firm’s two new sales associates. Martin is a former new business development representative in the fleet management industry who will be a valuable partner to clients seeking expertise in development and understanding the potential of a space. He will work closely with WCRE’s sales professionals to generate new business relationships and create opportunities for clients in Philadelphia and the suburbs. Before graduating a year early from Lynn University in Boca Raton, Florida, Martin was a member of the NCAA lacrosse team. He has continued his education by pursuing his MBA with a concentration in Finance at Saint Joseph’s University. His anticipated graduation is in May 2019. In addition to his professional activities, Martin is an attackman for the Hungarian National Lacrosse Team. He competed with the team in the 2018 World Lacrosse Championships in Israel. 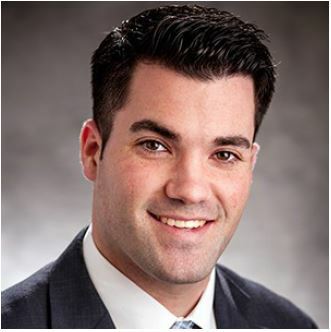 Mike Scanzano also joins WCRE as a sales associate. He will focus on the Southern New Jersey market. Scanzano will specialize in sales and leasing, tenant and landlord representation, investment sales, and multi-family dwellings. Scanzano is an entrepreneur and former professional athlete. He played six years of professional baseball, ending his career in 2010 with the Camden Riversharks. After baseball, he took a sales position with the Southern Illinois Miners, an independent minor league team. Since 2015 Scanzano is also the co-owner of Scanzano Sports in Cherry Hill, a baseball training center. He is responsible for marketing and business development, building relationships in the community, and overall management. Mike is excited about the opportunity to join the team at WCRE and looks forward to utilizing his sales experience and professional relationships to expand the firm’s client base. Learn more about WCRE on Twitter & Instagram @WCRE1, and on Facebook at Wolf Commercial Real Estate, LLC. Visit our blog pages at www.southjerseyofficespace.com, www.southjerseyindustrialspace.com, www.southjerseymedicalspace.com, www.southjerseyretailspace.com, www.phillyofficespace.com, www.phillyindustrialspace.com, www.phillymedicalspace.com and www.phillyretailspace.com. May 17, 2018 – Marlton, NJ – WCRE is proud to have played a key role in helping the Kingsway Learning Center & Services consolidate its Moorestown and Haddonfield campuses into a new site in Voorhees. The school leased the 73,000 square foot building at 1000 Voorhees Drive with plans to relocate its pre-school, elementary, and secondary programs for its 175 students to a single site starting with the 2018-2019 school year. 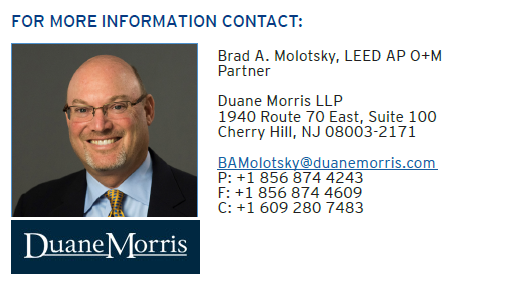 Previously WCRE exclusively represented the buyer of 1000 Voorhees Drive during its acquisition of the property. Then the firm’s educational and institutional client services group secured Kingsway as the tenant. Both phases of this transaction add to WCRE’s growing number of assignments of educational and institutional properties in the Philadelphia and Southern New Jersey region. This highly specialized sector is an area of strength and growth for WCRE. “The Kingsway team is very pleased with the way WCRE handled this project, and we’re grateful for their help in establishing our new home, “said Phil Rodriguez, Chief Operating Officer at Kingsway. WCRE’s Vice President & Principal, Chris Henderson noted the complexity involved in matching the parties according to their needs. “This showcases our ability to work with multiple parties to structure a long-term investment and development transaction that will provide excellent outcomes for everyone involved,” Henderson said. April 10, 2018 – Marlton, NJ – Commercial real estate brokerage WCRE reported in its latest quarterly analysis that the Southern New Jersey market is in largely good shape, with moderate gains in leasing activity and strong fundamentals. The firm believes the market may be poised to take off as benefits of the new tax law begin to reverberate in personal and corporate checkbooks. There were approximately 272,550 square feet of new leases and renewals executed in the three counties surveyed (Burlington, Camden and Gloucester), which was a gain of 23 percent over the previous quarter. Leasing picked up, and the sales market stayed active, with about 1.63 million square feet on the market or under agreement and an additional 320,691 square feet trading hands. The sales figure is a 36 percent increase over the previous quarter. New leasing activity accounted for approximately 77.2% percent of all deals. Overall, net absorption for the quarter was in the range of approximately 105,250 square feet. Both of these figures represent large increases over the fourth quarter. Overall vacancy in the market is now approximately 11.2 percent, which is more than a full point higher than the previous quarter. This may be attributed to large blocks of space returning to the market. Average rents for Class A & B product continue to show strong support in the range of $10.00-$14.50/sf NNN or $20.00-$24.50/sf gross for the deals completed during the quarter. These averages have stayed within this range for most of this year. Vacancy in Camden County improved steadily last year, but jumped nearly a point to 12.5 percent for the quarter. Burlington County vacancy was at 9.9 percent, which was also higher than the fourth quarter. WCRE has expanded into southeastern Pennsylvania, and the firm’s quarterly reports now include a section on transactions, rates, and news from Philadelphia and the suburbs. Philadelphia’s office market saw a decrease in vacancy in the Central Business District during 2017 and Q1 2018, as demand for office space continues to be strong. Still, we see increasing employment and new construction, both of which bode well for continued strength. Comcast’s second office tower, the Comcast Innovation and Technology Center, is a 59-story (1,121 feet), LEED Platinum certified skyscraper developed by Liberty Property Trust. The development, positioned in the heart of the CBD, will also include a Four Seasons Hotel. The project is estimated to cost $1.2 billion, is expected to be the tallest building in the United States outside of New York and Chicago, and will be the largest private development project in the history of Pennsylvania. Net of the hotel, the property is planned for 1,336,682 SF of office space. Comcast has signed a 20-year lease for 98% of the building, with the remainder available for lease. However, Comcast may fill the remaining space themselves. The project is estimated to cost $1.2 billion, is expected to be the tallest building in the United States outside of New York and Chicago and will be the largest private development project in the history of Pennsylvania. Net of the hotel, the property is planned for 1,336,682 SF of office space. Comcast has signed a 20-year lease for 98% of the building, with the remaining available for lease. However, like with the Comcast Center original headquarters, they potentially may fill the remaining space themselves. At 2400 Market Street, the new Aramark Headquarters is utilizing the former Philadelphia Market Design Center and will comprise the entirety of floors 5-9 on a long-term lease. Thus, the expansion (new inventory) is effectively 100% pre-leased. Estimated delivery is early 2018. The Philadelphia Planning Commission has approved zoning changes to an area west of 30th Street Station, where Brandywine Realty Trust and Drexel University plan their Schuylkill Yards redevelopment project, a 14-acre district of labs, offices, residences and shopping. There is not a definitive timeline for the project. According to Brandywine, the master plan will comprise a total buildout of 2.8 million square feet of office, 1.6 million SF of residential, 247,000 SF hotel, 1 million SF of lab, and 132,000 SF of retail space. This reflects the bulk of proposed inventory in the Center City submarket. Developer Oliver Tyrone Pulver Corp. is proposing a 38-story office tower on a long-empty lot east of City Hall at 1301 Market Street. It will comprise 841,750 SF upon completion if developed once a lead tenant is secured. The tower would tentatively open in 2020. Demand for multi-family product is demonstrating significant growth, with nearly 2,800 units recently completed, 1,250 units under construction, and 3,200 units proposed in the PA suburbs. Within the Center City market, there are 2,200 units under construction with an additional 6,300 units proposed. Market participants are questioning whether these units will continue to be absorbed. Many high-end apartment complexes are facing concessions and compression in rental rates. Quarter-over-quarter, industrial vacancy in Southeastern Pennsylvania was flat at 6.8%. The market’s largest yearly occupancy gains were recorded in Bucks County, where positive absorption totaled 709,530 square feet, and Delaware County, where 233,633 square feet was absorbed. The year’s largest moves were Almo and Amazon occupying 300,000 and 104,000 square feet of warehouse space along Cabot Boulevard in Bucks County in the second quarter. Philadelphia County recorded 169,134 square feet in negative yearly absorption. The increased demand for warehouse and distribution space from e-commerce firms has focused on larger scale properties and newer buildings, both of which are in low supply. E-commerce and logistics warehouses may require anywhere between a few hundred thousand square feet to over 1 million square feet, but the tightness of Philadelphia’s industrial market means that many companies are starting to look outside the city to fulfill their space needs. 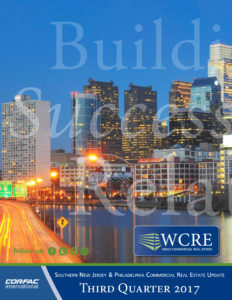 WCRE also reports on the Southern New Jersey and Philadelphia retail market. Retail vacancy in Camden County stood at 8.4 percent, with average rents in the range of $13.75/sf NNN. Retail vacancy in Burlington County stood at 10.4 percent, with average rents in the range of $14.24/sf NNN. Retail vacancy in Gloucester County stood at 7.0 percent, with average rents in the range of $14.83/sf NNN. The future of solar in New Jersey is looking very bright. The state solar program has been generating investments. We’re taking a look at the future of solar in New Jersey. 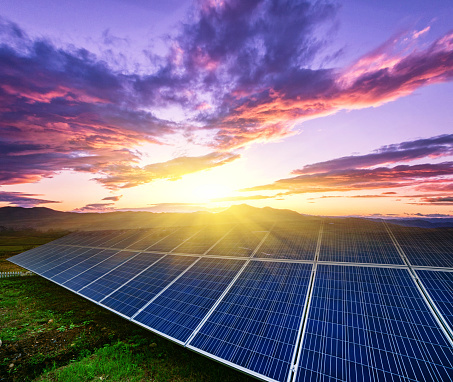 The New Jersey state solar program stimulates approximately $1 billion of investment annually. This level of investment is supported by the trading of SRECs (Solar Renewable Energy Certificates) mandated by the state RPS (Renewable Portfolio Standard). Although this mechanism has driven a stable level of investment over the last 10 years, there is always an underpinning of a potential crash in SREC prices due to oversupply – as occurred briefly in 2012. The long-term successor program will have a significant impact on the viability of a solar energy economy in the state of NJ. The niches for solar energy development may differ significantly from today. For example, there may be greater opportunity for larger utility-scale projects on farmland and landfills, for shared community solar projects on ancillary land or for pairing solar with battery storage. If you are considering solar in New Jersey, please connect with an experienced solar partner like Independence Solar who can help navigate the future of solar energy in New Jersey. 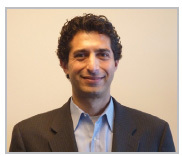 Keith Peltzman is president and founder of Independence Solar with offices in Cherry Hill, NJ and Boston, MA. Independence Solar is a turnkey installer of commercial solar energy. Since 2007, the team has developed and built over $200 million of solar projects, including the largest rooftop solar array (9 MW) in North America at the Gloucester Marine Terminal in NJ. Independence Solar forges long-term partnerships to maximize returns on our customers’ solar energy investments. March 1, 2018 – Marlton, NJ – Wolf Commercial Real Estate (WCRE) is pleased to announce that it has been appointed exclusive agent for 13 new projects in the Southern New Jersey and Philadelphia region. WCRE continues to raise the bar with an aggressive marketing and branding strategy and has increased its South Jersey and Philly presence. WCRE will assume marketing, leasing and sale responsibilities for an additional 13 properties totaling approximately 113,000 SF. The team at WCRE now oversees over 175 properties throughout the PA/NJ market encompassing over 4.2M square feet of office, retail, industrial, healthcare and investment real estate. “We see endless possibility in the properties our clients have entrusted to WCRE, and we are excited to connect new prospects with these assets.” said WCRE managing principal Jason Wolf. A marketing brochure for each of these properties is available upon request. Learn more about WCRE online at www.wolfcre.com, on Twitter & Instagram @WCRE1, and on Facebook at Wolf Commercial Real Estate, LLC. Visit our blog pages at www.southjerseyofficespace.com, www.southjerseyindustrialspace.com, www.southjerseymedicalspace.com, www.southjerseyretailspace.com, www.moorestownofficespace.com, www.moorestownmedicalspace.com, www.phillyofficespace.com, www.phillyindustrialspace.com, www.phillymedicalspace.com and www.phillyretailspace.com. January 8, 2018 – Marlton, NJ – Commercial real estate brokerage WCRE reported in its latest quarterly analysis that the Southern New Jersey market is in largely good shape, despite a seasonal drop in leasing activity. There were approximately 210,525 square feet of new leases and renewals executed in the three counties surveyed (Burlington, Camden and Gloucester), which was about half the total compared with the previous quarter. 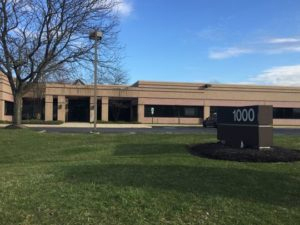 While leasing slowed considerably, the sales market stayed active, with more than 1.88 million square feet on the market or under agreement and an additional 205,364 square feet trading hands. New leasing activity accounted for approximately 25.7 percent of all deals. Overall, net absorption for the quarter was in the range of approximately 65,250 square feet. Overall vacancy in the market is now approximately 10.1 percent, which is an uptick of a third of a point from the previous quarter. Vacancy in Camden County improved throughout the year, standing at 11.7 percent for the quarter, up a bit from the third quarter, but down from 13.3 percent at the beginning of the year. Burlington County vacancy was at 8.5 percent, a slight increase in a year that saw marked improvement overall. Philadelphia’s office market saw increasing vacancy in the Central Business District during 2017, as several large tenants emphasized efficiency and returned large blocks to the market. Still, we see increasing employment and new construction, both of which bode well for continued strength. The Philadelphia retail sector continues to struggle. 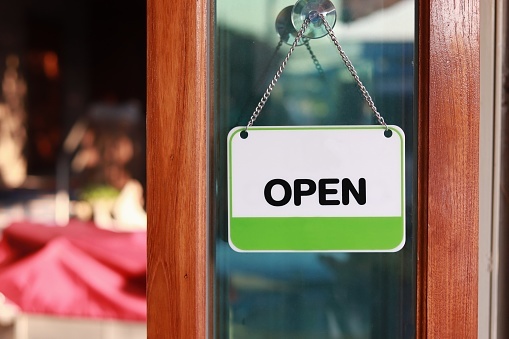 It has been affected by the same challenges facing retail businesses everywhere. Namely, the shift to online retailing. Still, there were some positive signs amid the announced store closings and bankruptcies. Community shopping centers remain an area of strength in the market, with vacancy rates nearly half the national average. The Philadelphia industrial market continues its hot streak, and the outlook is positive. Vacancy rates for flex and industrial properties in Philadelphia are well below the regional and national averages, and this is expected to continue. Industrial vacancy in Philadelphia is currently at 7 percent, and net absorption was in the range of 1.7 million square feet. Retail vacancy in Camden County stood at 8.5 percent, with average rents in the range of $12.75/sf NNN. Retail vacancy in Burlington County stood at 9.9 percent, with average rents in the range of $13.83/sf NNN. Retail vacancy in Gloucester County stood at 7.2 percent, with average rents in the range of $14.64/sf NNN. January 8, 2018 – Marlton, NJ – Wolf Commercial Real Estate (WCRE) proudly announces the promotion of Chris Henderson to Principal and Shareholder of the firm effective January 1, 2018. Chris Henderson joined the firm in 2014, and was previously promoted to vice president at the end of 2016. He has been recognized for his tremendous leadership skills, collaborative approach, entrepreneurial spirit, and a boundless work ethic that has served him well within the company and the community. October 6, 2017 – Marlton, NJ – Commercial real estate brokerage WCRE reported in its latest quarterly analysis that the Southern New Jersey market is in good shape, but remains in somewhat of a holding pattern. There were approximately 421,113 square feet of new leases and renewals executed in the three counties surveyed (Burlington, Camden and Gloucester), which represents an increase of approximately 6.6 percent compared with the previous quarter, and a 15 percent increase over the same period last year. While leasing showed moderate gains, the sales market was quite active during the third quarter, with more than 1.76 million square feet worth more than $105 million of completed sales transactions trading hands. New leasing activity accounted for approximately 43.3 percent of all deals. Overall, net absorption for the quarter was in the range of approximately 91,600 square feet. Overall vacancy in the market is now approximately 9.75 percent, which is a solid improvement over the previous quarter. Vacancy in Camden County maintained its dramatic improvement, standing at 10.8 percent for the quarter, down from 13.3 percent at the beginning of the year. The Philadelphia industrial market continues its hot streak, and the outlook is positive. Vacancy rates for flex and industrial properties in Philadelphia are well below the regional and national averages, and this is expected to continue. Philadelphia’s office market continues to gain strength across the board, with far lower vacancy rates than regional and national averages for both Class A and Class B properties in the Central Business District and the suburbs. We see increasing employment and new construction, both of which bode well for continued strength. The Philadelphia retail sector is the one area that is not performing well. It has been affected by the same challenges facing retail businesses everywhere. Namely, the massive shift to online retailing and away from brick-and-mortar. Still, there were some positive signs amid the announced store closings and bankruptcies. Community shopping centers remain an area of strength in the market, with vacancy rates nearly half the national average. Retail vacancy in Camden County stood at 9.5 percent, with average rents in the range of $12.47/sf NNN. Retail vacancy in Burlington County stood at 10.7 percent, with average rents in the range of $13.38/sf NNN. Retail vacancy in Gloucester County stood at 7.9 percent, with average rents in the range of $14.10/sf NNN. Learn more about WCRE online on Twitter & Instagram @WCRE1, and on Facebook at Wolf Commercial Real Estate, LLC. Visit our blog pages at www.southjerseyofficespace.com, www.southjerseyindustrialspace.com, www.southjerseymedicalspace.com, www.southjerseyretailspace.com, www.phillyofficespace.com, www.phillyindustrialspace.com, www.phillymedicalspace.com and www.phillyretailspace.com. 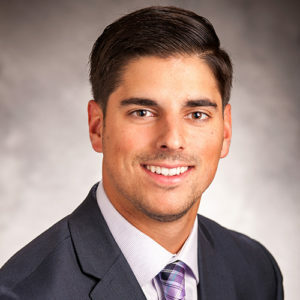 Wolf Commercial Real Estate (WCRE) is pleased to announce the hiring of Joe Nassib as the firm’s newest sales associate. Nassib is a former commercial construction project management specialist who will be a valuable partner to clients seeking expertise in development and understanding the potential of a space. Nassib will work closely with WCRE’s team of sales professionals to generate new business relationships and create opportunities for clients in Philadelphia and its suburbs. For four years Nassib was a defensive back and special teams player for the Syracuse University Orange football team. He began as a walk-on, and through his perseverance, earned a scholarship and appeared in more than 40 games. He will bring this same type of tenacity and commitment to his clients at WCRE. WCRE is pleased to announce it has joined CORFAC International, a network of independently-owned, entrepreneurial commercial real estate firms with 78 collaborative offices worldwide. Under the new arrangement, the five-year-old local firm will rebrand as WCRE/CORFAC International. Though it bears a new name, the firm remains a full-service commercial real estate brokerage and advisory firm specializing in office, retail, medical, industrial and investment properties. It provides a complete range of real estate services to commercial landlords, tenants, investors, developers, banks, commercial loan servicers and companies. Wolf founded WCRE in early 2012 after 17 years of steady growth and success at a top national commercial real estate firm. Driven by a visionary team with a wide variety of expertise, WCRE quickly took its place among the market leaders. Founded in 1989, CORFAC International’s member firms provide a full range of brokerage services across the globe. 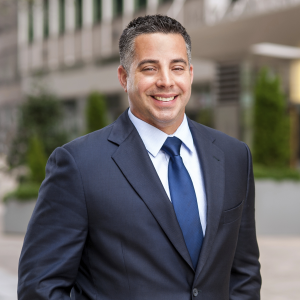 “It is an honor to have Wolf Commercial Real Estate join the CORFAC family as our newest member firm,” said Jonathan Salk, Executive Director of CORFAC International. 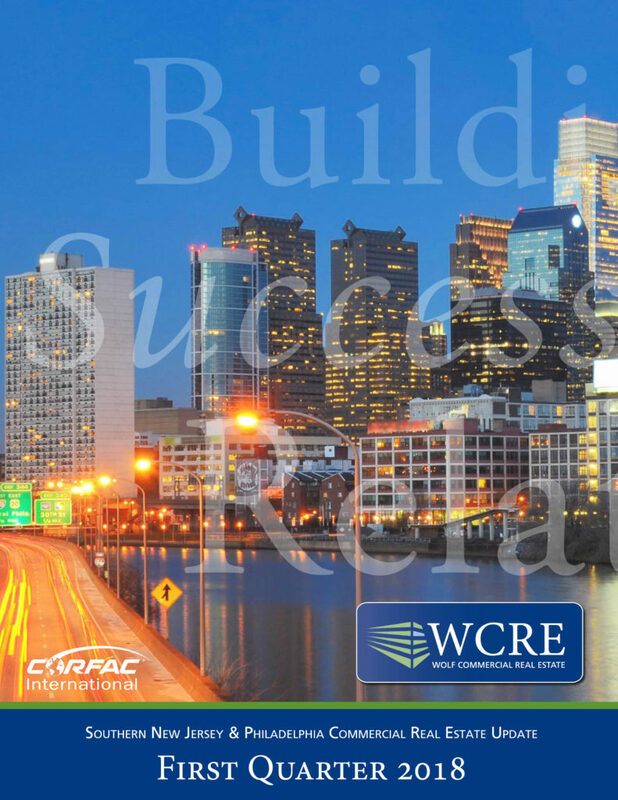 “WCRE is well recognized and respected as the top independent commercial real estate company in the Philadelphia and South Jersey region. Their strong full-service team with years of experience locally, regionally and nationally will be a fantastic addition to our CORFAC network,” Salk added. “CORFAC is an excellent fit for our regional and national practices in office, retail, healthcare, and industrial properties,” said Anthony Mannino, vice president for corporate strategies at WCRE. Learn more about Wolf Commercial Real Estate at www.wolfcre.com and CORFAC International at www.corfac.com. Established in 1989, CORFAC International (CORFAC) is comprised of privately held entrepreneurial firms with expertise in office, industrial and retail brokerage, tenant and landlord representation, investment sales, multifamily, self-storage, acquisitions and dispositions, property management and corporate services. Founded in 1989, CORFAC has 48 firms in the U.S., four in Canada and 26 in international markets, including Colombia, France, Germany, Ireland, Israel, Italy, Mexico, Romania, Russia, South Africa, South Korea, Switzerland and the United Kingdom. CORFAC firms completed more than 11,000 lease and sales transactions totaling 550 million square feet of space valued in excess of $8.5 billion in 2015. Learn more at www.corfac.com or on Twitter at @CORFACIntl.